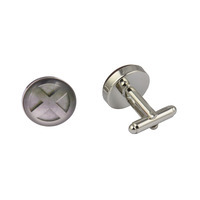 These cool X Men cufflinks are the perfect accessories for superhero fans and those that like to wear a cool and unique accessory.nFeaturing the iconic X Men logo in a grey silver colour these cufflinks are cool but not over the top so would look great with a dark or light suit worn at an event or work day.nMade of the highest quality alloy metals, silver coated and cabochon glass (a natural gemstone of the glass family) these X Men cufflinks are made to last the test of time and are perfect for either daily or occasional usage.nThe perfect cufflinks for weddings, proms, black tie events, parties, awards dos, conferences or as a unique gift purchase.nThese cufflinks have a 3d effect but are in fact a flat design. Posted on April 7, 2019 by Shaun OConnor in Cufflinks Gift Hub and tagged Cufflinks Gift Hub, Superhero Cufflinks, X Men Cufflinks. Our zebra lapel pin badge is the perfect cool accessory for your jacket when worn at any occasion whether formal or casual.nFeaturing an image of a zebra from the neck upwards in traditional colours against a black background this cool animal themed lapel pin for men is unique and fashionable. Our awesome lapel pins are great to wear at both casual and formal events.nThis astronaut lapel pin can be worn at weddings, proms, conferences, at the office or given as a unique gift purchase.nOur awesome lapel pin is made using the highest AAA quality materials including metal alloys and cabochon glass which makes the image clear and crisp for all to see. The rear of the lapel pin is fitted with a butterfly clasp pin so you can secure to your jacket with ease.nOur exclusive lapel pins measure 16mm in diameter and are presented in a luxury black velvet lapel pin bag. Posted on April 7, 2019 by Shaun OConnor in Cufflinks Gift Hub and tagged Animal Lapel Pin Badges, Cufflinks Gift Hub, Zebra Lapel Pin Badge. Our awesome Xbox controller cufflinks feature an image of the well known Microsoft games console controller.nFeaturing a control pad image with colourful buttons featuring the letters Y, B, A and X, these are the perfect addition to any outfit for a video game fan.nMade of the highest quality materials including metal alloys and cabochon glass, the cufflinks will look striking on your cuffs at any event.nThe perfect cufflinks for gaming fans, those that like an exclusive accessory or as a unique gift.nThese are perfect for weddings, proms, black tie events, parties, awards dos, conferences or gift purchases. Posted on April 7, 2019 by Shaun OConnor in Cufflinks Gift Hub and tagged Computer Cufflinks & Console Cufflinks, Cufflinks Gift Hub, Xbox Controller Cufflinks. These zebra stripes cufflinks ooze coolness and look fantastic when worn on your cuffs at any event.nMade of the highest quality materials including metal alloys and cabochon glass they will last the test of time and are perfect for both daily or occasional usage.nThese zebra animal themed cufflinks feature a black and white pattern resembling a zebras coat.nThe perfect cufflinks for animal lovers, Zoo keepers, those that like an exclusive accessory or as a unique gift purchase.nThese are perfect for weddings, proms, black tie events, parties, awards dos, conferences or gift purchases. Posted on April 7, 2019 by Shaun OConnor in Cufflinks Gift Hub and tagged Cufflinks Gift Hub, Cufflinks>Animal Cufflinks>Wild Animal Cufflinks>Pattern Cufflinks, Zebra Stripes Cufflinks. 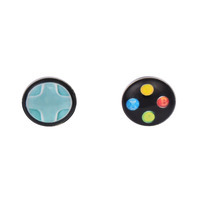 These Xbox controls cufflinks feature on one cufflink the famous image of the console controller with multicoloured buttons and on the other the directional pad in light blue.nOur xbox cufflinks are the perfect accessories for Xbox owners, computer game fans, IT workers and those that like a cool and unique accessory.nMade of the highest quality alloy metals, silver coated and cabochon glass (a natural gemstone of the glass family) these Xbox controls cufflinks are made to last the test of time and are perfect for either daily or occasional usage.nThe perfect cufflinks for weddings, proms, black tie events, parties, awards dos, conferences or as a unique gift purchase. Posted on April 7, 2019 by Shaun OConnor in Cufflinks Gift Hub and tagged Computer Cufflinks & Console Cufflinks, Cufflinks Gift Hub, Xbox Controls Cufflinks. Our very fashionable zebra stripes lapel pin badge for men will definitely add a high level of cool and quality to your jacket when worn at both informal and formal events.nFeaturing a clear and crisp pattern of a zebra in black and white this lapel pin will not only give you an exclusive feel to a dark jacket but will definitely get comments of appreciation when worn.nThe perfect lapel pin for all events wether casual or formal our lapel pin for men is cool and fashionable. This lapel pin would make a perfect gift purchase.nOur exclusive lapel pin is 16mm in diameter which is the normal UK size for such an accessory and is big enough for all to see the clear pattern upon it.nThis unique lapel pin is made of the highest AAA quality metal alloys with cabochon glass holding the image to make it clear and crisp. Our lapel pins are presented in a luxury black velvet bag and gift wrapped in high quality paper.nOur men’s lapel pin range is perfect to be worn at weddings, proms, work days, casual nights out or as a cool and unique gift purchase. Posted on April 7, 2019 by Shaun OConnor in Cufflinks Gift Hub and tagged Animal Lapel Pin Badges, Cufflinks Gift Hub, Zebra Stripes Lapel Pin Badge. Our black and white yacht cufflinks are the perfect accessories to be worn by yacht owners, boating fans, sailors, sea dwellers and those that like to wear a cool and unique accessory.nFeaturing an image in white of a yacht shape on a black background the image jumps out from the cufflinks so it is sure to attract some positive attention when worn.nMade of the highest quality alloy metals, silver coated and cabochon glass (a natural gemstone of the glass family) these yacht cufflinks are made to last the test of time and are perfect for either daily or occasional usage.nThe perfect cufflinks for weddings, proms, black tie events, parties, awards dos, conferences or as a unique gift purchase. Posted on April 7, 2019 by Shaun OConnor in Cufflinks Gift Hub and tagged Cufflinks Gift Hub, Transport>Boats & Ships, Yacht Cufflinks. These zebra swirl cufflinks are without doubt one of our favourite and funkiest cufflinks.nMade of the highest quality materials including metal alloys and cabochon glass they will look striking on your cuffs at any event.nThese zebra animal themed cufflinks feature a black and white pattern with a central swirl where all the colours connect.nThe perfect cufflinks for animal lovers, those that like an exclusive accessory or as a unique gift purchase.nThese are perfect for weddings, proms, black tie events, parties, awards dos, conferences or gift purchases. Posted on April 7, 2019 by Shaun OConnor in Cufflinks Gift Hub and tagged Cufflinks Gift Hub, Cufflinks>Wild Animal Cufflinks>Pattern Cufflinks, Zebra Swirl Cufflinks. 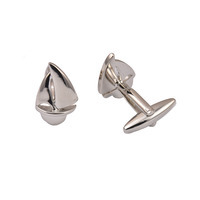 Posted on April 7, 2019 by Shaun OConnor in Cufflinks Gift Hub and tagged Cufflinks Gift Hub, Novelty Cufflinks>Boats & Ships, Yacht Silver Cufflinks. 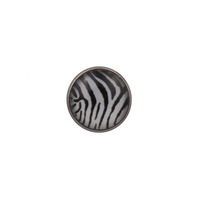 Add a fashionable edge to your outfit with our quality and cool zebra swirl lapel pin badge. 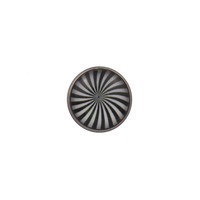 The perfect accessory to be worn on your jacket on both formal and informal occasions this lapel pin badge for men will definitely throw you up to the dizzy heights of top of the fashion stakes. Our zebra swirl lapel pin is also the perfect unique gift purchase for someone special.nFeaturing a zebra pattern in a swirl formation our lapel pin is made to the highest possible quality and is perfect for both occasional or frequent usage.nThe perfect lapel pin for all events wether casual or formal our lapel pin for men is cool and fashionable. 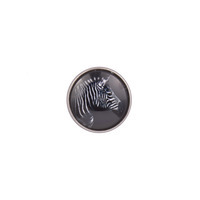 This lapel pin would make a perfect gift purchase.nOur exclusive lapel pin is 16mm in diameter which is the normal UK size for such an accessory and is big enough for all to see the clear pattern upon it.nThis unique zebra swirl lapel pin badge is made of the highest AAA quality metal alloys with cabochon glass holding the image to make it clear and crisp. Our lapel pins are presented in a luxury black velvet bag and gift wrapped in high quality paper.nOur men’s lapel pin range is perfect to be worn at weddings, proms, work days, casual nights out or as a cool and unique gift purchase. Posted on April 7, 2019 by Shaun OConnor in Cufflinks Gift Hub and tagged Animal Lapel Pin Badges, Cufflinks Gift Hub, Zebra Swirl Lapel Pin Badge.